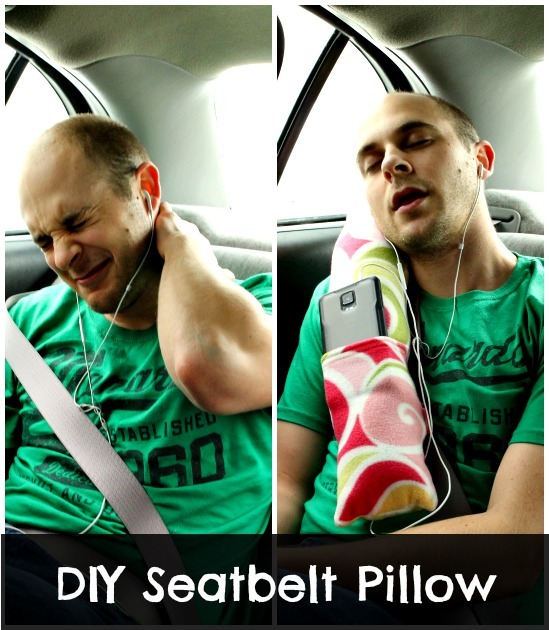 This is a really easy DIY seatbelt car pillow tutorial that’s perfect for car road trips. It’s made from fleece, which is perfect to personalize for kids and completely machine washable – you can use up the small scraps from this project and make a fun car activity for kids too! The little pocket can hold a phone or an ipod, so it doesn’t get stuck in the seat cushion. Here's where you can find the car pillow tutorial.